Steinlager Original was well established as one of the leading draft lagers in New Zealand. Lion Nathan Breweries wanted to target a more sophisticated market with a premium bottled lager, with an appeal wider than the rugby crowd associated with the original brand. 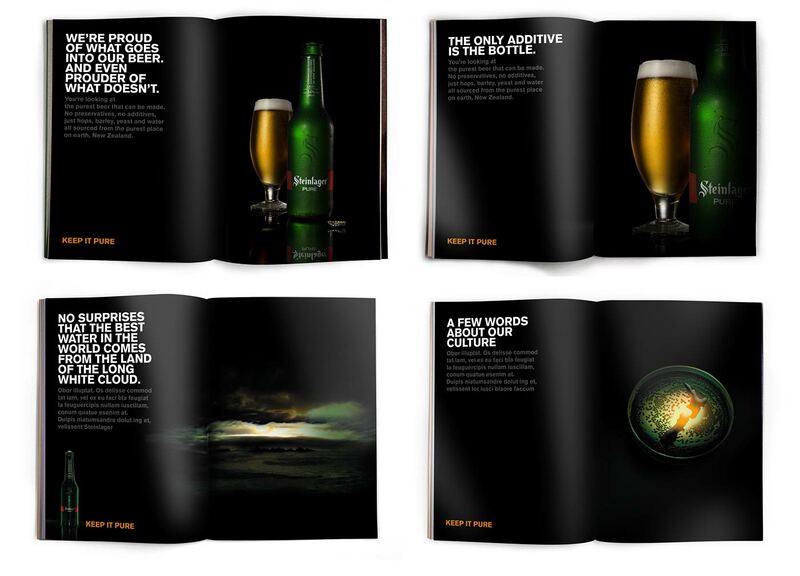 And of course they needed a distinctive and impactful advertising campaign to launch the new product. The new lager is lighter in flavour than the traditional Steinlager and contains only New Zealand ingredients with no additives or preservatives. Our challenge was to emphasise those qualities in a way that stood out from other marketing campaigns in the sector and create a real splash in the marketplace. 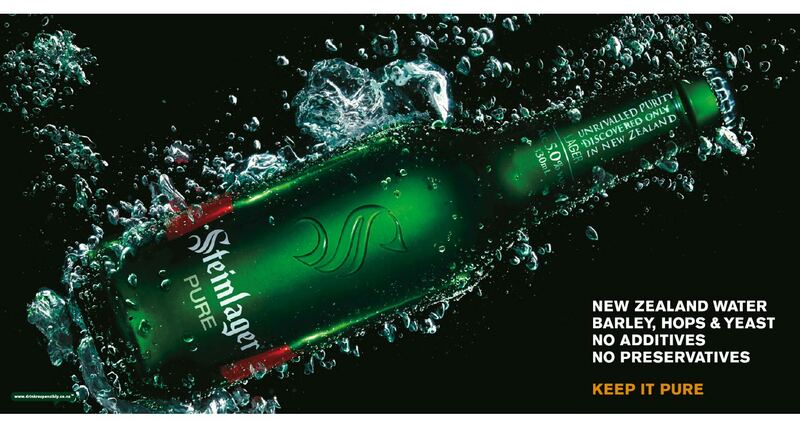 The print and outdoor advertising to accompany the launch was based around dark, evocative photography of the new bottle in natural elements reflecting the purity of the ingredients themselves in a slick, stylish package moving the brand firmly away from the territory occupied by Steinlager Classic.